What makes a city a great place to live? 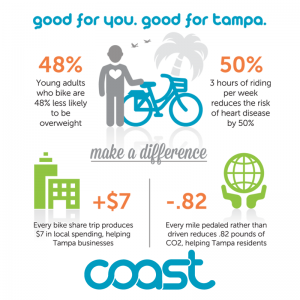 The City of Tampa believes the launch of its first bike sharing program will contribute to the Tampa’s livability. 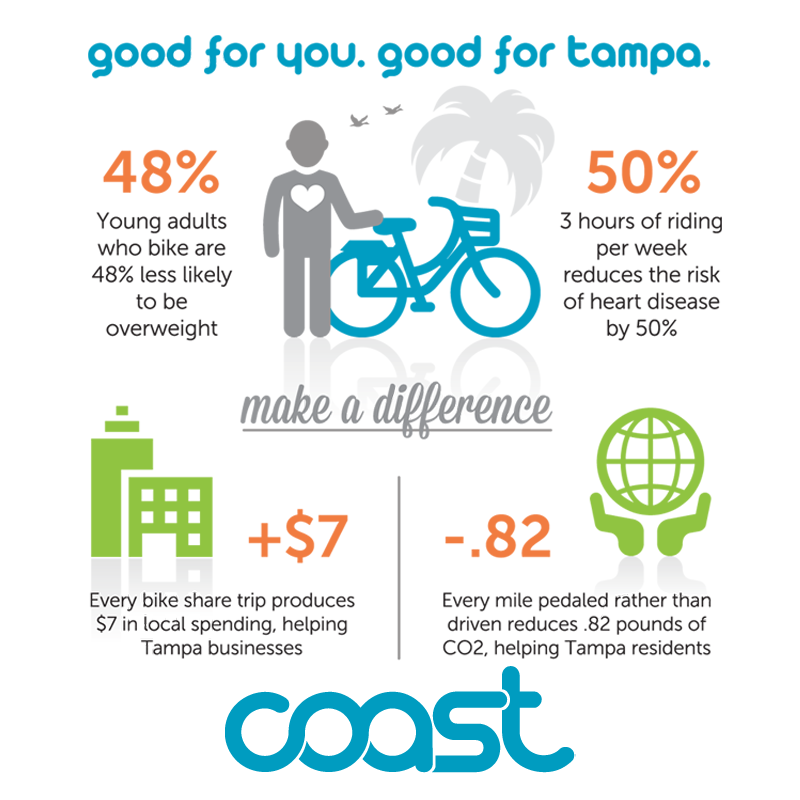 Mayor Bob Buckhorn announced Coast Bike Share at a recent press conference, “Coast Bike Share is part of the equation in continuing to attract new jobs and young professionals, who want livable cities with amenities like this that improve their quality of life. “I’m thrilled to launch Coast Bike Share and cannot wait until the bikes roll out on our streets. 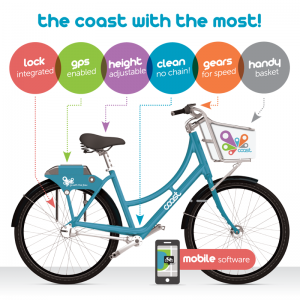 Bike sharing programs like ours are easy, affordable, and a healthy mode of transportation,” said Mayor Bob Buckhorn. Designed by Social Bicycles, the bikes will have a driveshaft instead of a chain, making the bikes friendlier to well-dressed commuters and more resistant to vandals. 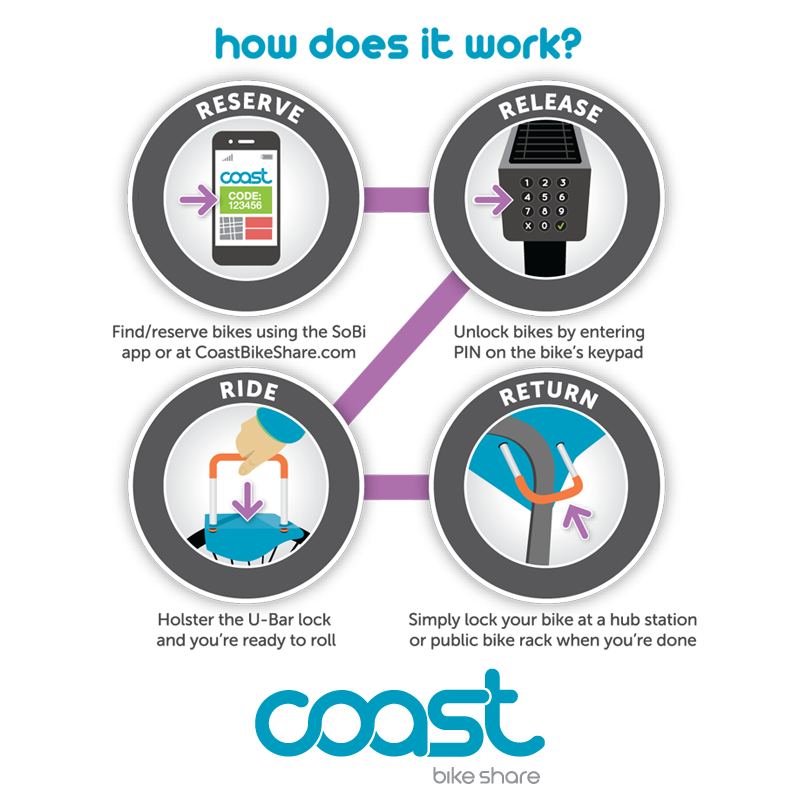 Proposed hub locations for Coast’s first phase of implementation were also announced. Those locations will connect Downtown, Hyde Park, Ybor City, and Davis Islands. The Bicycle Pedestrian Advisory Committee (BPAC) looks forward to being able to Coast around town. BPAC Chair Jim Shirk, a longtime supporter of human powered transportation, reflecting on the committee’s view said, “Bike share programs provide alternatives to the short drive trip. We will now have an easier way to get from point A to B in Downtown and surrounding neighborhoods on a bicycle. 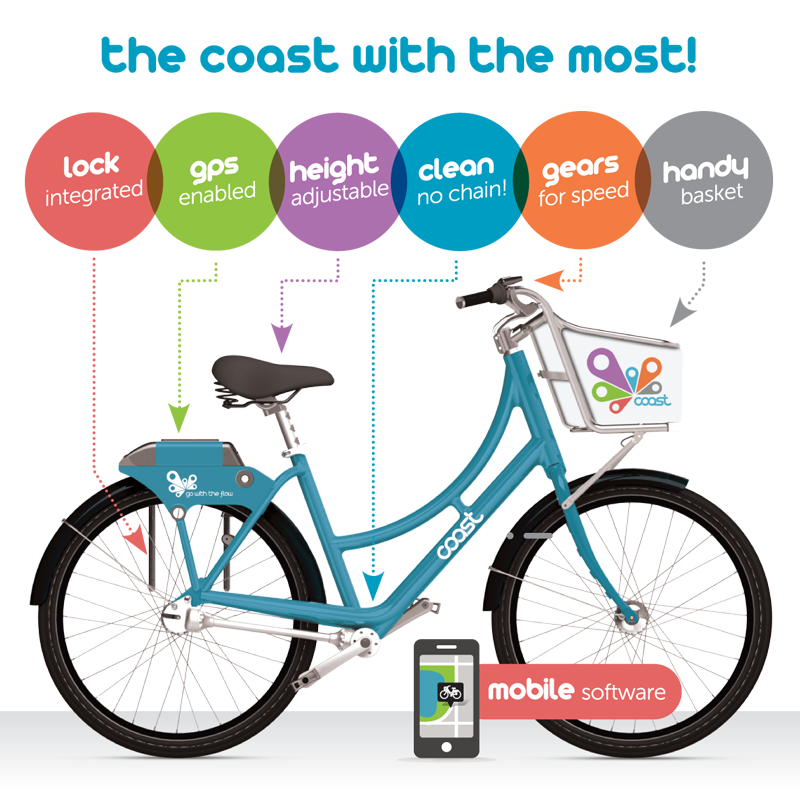 Bike share is where bikes for public use are parked at various locations and can be rented by anyone for short trips. This service is popular in cities around the world, including New York, Washington, D.C., London, and Paris.